I charge $40.00 to covers my fuel and ware and tare on my vehicle. I work on a reward basis so what ever the ring, necklace, keys, camera or bracelet is worth to you upon getting it back. Beaches, Swimming holes, shallow rivers, Parks, Yards, and Schools my search pattern consist of Grid, Spiral, Zone, which are often combined for a more effective out come. 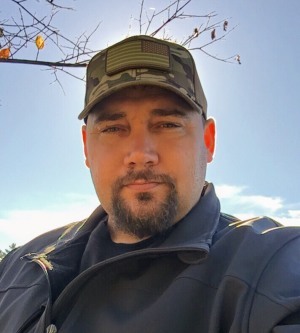 I am a U.S. Army veteran with a passion for helping those in need and what better way to do that than helping them find there lost prized posessions. I have 25 years experience in the field of metal detecting. How you can aid in the search: The first thing that you need to do is not panic and frantically looking for your missing item I.E. rings, bracelets, and necklace In the sand this could berry it deeper in the sand and if in the water and there is a current it could move your item out of the area you lost it in and make the search more difficult. Cameras, keys and cell phone are a bit easier to find because there bulkier and take longer to sink into the sand but that doesn't mean they don't move once there dropped in the surf. It is very important to remember where you were when you lost it or think you lost it, figure out a way to mark the location. You could draw a deep arrow in the sand or place a rock or another item on the beach that would indicate the area to start the search, help me help you.